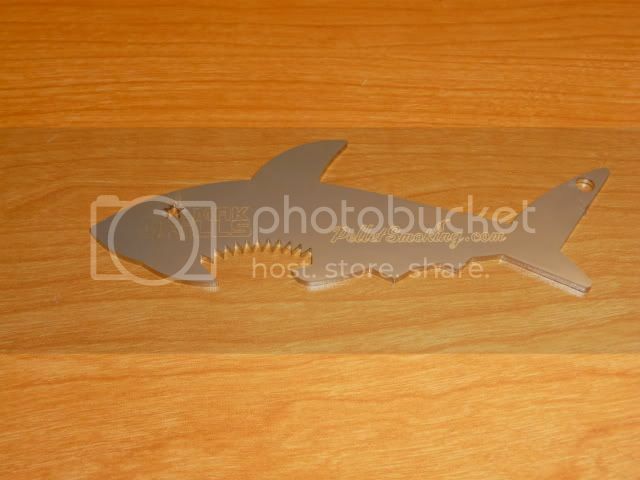 Thread: Get your new Shark Bottle opener from MAK Grills and Pelletsmoking.com. Free to all new members for a limited time. PM jafrey711 and he will send one out to you. That was very cool! Thanks Jim! Sweet! Thanks MAK and Pellet Smoking.com! "Secondhand smoke doesn't kill, it just makes the neighbors jealous............."
When contact me , please make sure to include your mailing address. Thanks !! Why Cool. Thanks Bob, Jafrey, & Jim. MAK 2 Star General is smokin' in So Cal where the waters warm, the skie's are blue and somebody is always having a Que. Thanks to bob and Kerrie and Bruce! Your welcome, these trinkets are fun! A very cool vid to watch, Thanks!